I am not one to panic. I suppose part of it is genetic. Baby choking? Don’t panic. About to hit a tree on my bike? Don’t panic. Most of the time it is a good thing to keep a level head, take that extra 1/2 second and think. In this way, I am much like my dad. But some people panic at the most ridiculous things…For example, people in North America are buying iodine tablets in such high quantities that there is now a shortage. Why? Because they are panicking. I can understand being nervous about a radioactive cloud coming your way(and my way for that matter). 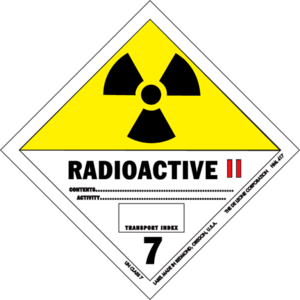 There has been some radioactive traces found in the milk in Washington State, which is very close to where I live. Listening to Health Canada, the Centre for Disease Control, etc… on the CBC, they are all telling us to NOT PANIC! Getting the point? You’d think that being on the west coast of Canada, and being surrounded by tons of BC bud, people would be pretty laid back? 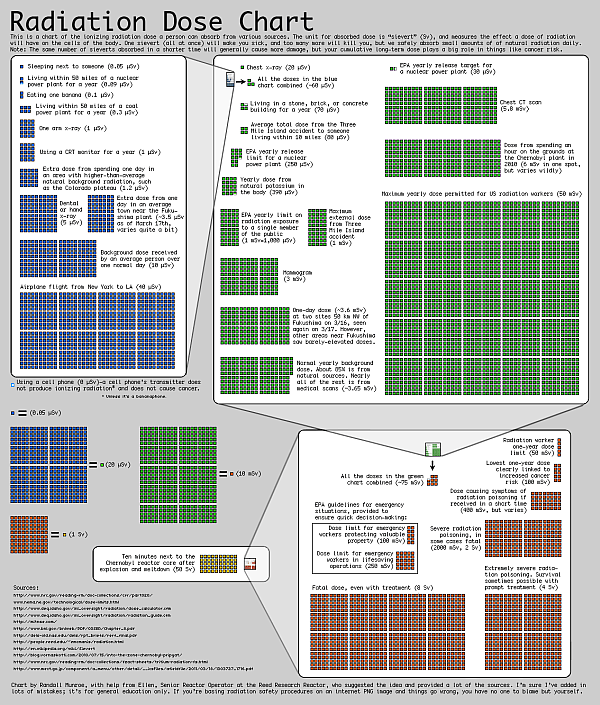 If you are still a bit nervous about the big green cloud coming to get you, here is a nice visualization created by xkcd about radiation exposure. : xkcd explains radiation — Engadget. Previous PostPrevious Google Reader Archives and Some Saved Jems! Next PostNext How people got ‘even’ back in the day.